Of course, back then all I had on my head was a hat which wasn’t too good at providing protection when I fell. The last time I hit the slopes, a couple of years ago, everyone was in helmets, myself included. Protecting yourself is important, but think about the risk that is taken by professional Olympic skiers. They are skiing at ridiculous speeds and when they fall, it’s just like a motorcycle crash on hard packed snow. Needless to say, the art of protection needs to evolve to protect all of us, and now it has. The Giro folks have created a fascinating helmet that isn’t just a padded lining in a very hard shell. Then if you want more info on Giro gear, head to the website. It looks like a team of archeologists from University of Pisa in Italy have found what might be the earliest RPD (removable partial denture) in history. It consists of a lower left canine and 4 mandibular incisors all attached to a band of metal. The fascinating and yet terrifying part of the story is that the teeth are not the teeth of the body that was discovered. You read that right. These 5 teeth were somehow acquired from another human and then placed in the mouth of a separate human. Ancient', 'green', or 'borrowed from other people' aren't descriptors many of us would want used to describe our pearly whites. But all three are apt for a set of dentures unearthed from a chapel in Italy, which could date back to the time of Leonardo Da Vinci. Archaeologists believe the prosthesis, which is made from a string of human teeth and a strip of metal, could date back as far as the 14th century - making them one of the only sets from the Renaissance period to be found. According to English language Italian news website, The Local, the dentures were uncovered during a dig in Lucca in Italy, in the bottom layers of a tomb. A team from the University of Pisa unearthed the Renaissance false teeth while excavating a family tomb in 2010 where hundreds of skeletons are buried in the chapel of San Francesco. The site was the tomb for the Guinigi family, an aristocratic group of powerful bankers and traders who governed the city, with generations of Guinigi's buried atop one another. Dental implants have been recorded as far back as the ancient Egyptians, with Romans and Etruscans also showing signs of having dental work done to fill the gaps. The first porcelain dentures didn't arrive until the late 18th century, so animal teeth, human teeth, bone, ivory and other tough surfaces were trialled. The process was time consuming, inefficient and difficult to perform. In fact, it was so difficult that most general clinicians preferred not to be involved with it. Instead, the majority of root canals were referred out to specialists. Anteriors, and sometimes premolars, were treated in house, but many of those, and especially molars, were referred. While this did spare the general dentist the frustration of doing the procedure, the entire process of the referral introduced a whole new type of inefficiency into the system. Because so few root canals were performed in general dentistry settings, endodontists were sometimes overwhelmed with the volume of patients. This meant that patients frequently waited longer than they preferred for treatment and consequently the comprehensive dentistry being done in the general dentist’s office also took longer to complete. Fortunately, many bright minds saw the advantage of improving the entire clinical process of endodontics and over the time since my initial training, we’ve seen amazing and dramatic improvements in the process. We have now reached a point where the procedure is much easier, much more predictable, and many are being performed by general dentists. In fact, according to the American Association of Endodontists, 72 percent of root canals are performed by general dentists. Endo is one of the procedures in dentistry that can be greatly improved both in decreasing stress to the practitioner and better clinical result to the patient, through the use of technology. Over the years many systems have been created which use a series of proprietary instruments to cleanse, shape, and finish canal preparation. While often times learning and depending on one system can be all that is needed to complete the majority of cases, there will always be cases that require a little something extra or “outside the box” as the situation may be. For that reason, over the years I have developed a hybrid technique that incorporates several different systems. This has allowed me to adapt my treatment to a myriad of clinical situations for those times when it’s necessary to step outside the box. For this installment of Technology Evangelist, I’m going to discuss some of the products I keep in my “endo utility belt.” Keep in mind that since I’m using a hybrid technique, my endodontic cases are fluid situations and I do not use all of these products on every case. Also, this is not a “how to” article; there are many more steps and products used than what I am discussing here. In my humble opinion, an apex locator is an absolute necessity to do quality endo. Today’s devices are small, lightweight and incredibly accurate. Today we are battling what I call “countertop real estate” and any device that takes up significant counter space begins to limit the number of counter-based devices you can have. With apex locators being such small devices, they can become a routine part of your endo setup. Some of my current favorite devices in this category are the Sybron Endo Elements Diagnostic Unit (an apex locator and electric pulp tester in one unit), the Sybron Endo Apex ID, and the Ultradent Endo-Eze FIND. Apex locators are now so accurate that I believe their readings much more than I believe the position of a file on a radiograph. Over the years there have been more endodontic files created and marketed than I can even remember. Some have withstood the test of time while others streaked across the dental landscape like a near-miss comet and were gone. Both manufacturers and clinicians are looking for the magic bullet of one design that can do everything. Unfortunately, that design doesn’t exist—at least not yet. Hence my preference for a hybrid technique. Since I’ve yet to find the magic bullet file, here are some files I keep in the toolbox to help make some cases easier. Ultradent Endo-Eze Genius files are used with the Genius motor. These files can be used in either reciprocating or rotary motion depending on the clinical situation and the comfort/skill of the operator. Any file that can be used in a reciprocating motion is harder to break. Coltene Hyflex EDM files are incredibly flexible. This makes them a very nice option when instrumenting curved canals. The other advantage is that while they are nickel titanium, they also possess a property called CM (controlled memory effect) which means they can be pre-curved for instrumentation of highly curved canals. I’ve found this to be a great advantage in curved cases. The other interesting property delivered by CM is that when autoclaved, these files go back to their original straight shape. Personally I advocate a one use file inventory of single use and toss, but if you like to reuse files, these are an excellent choice. Sybron Endo Twisted Files are created by twisting nickel titanium wire instead of grinding the cutting flutes into it. This makes the files less susceptible to fracture as they tend to unwind (or untwist) before they fracture. I’ve found these files to be durable and difficult (though not impossible) to break. My philosophy with rotary files is to use as few as possible per case which statistically reduces the incidence of breakage. I have found that when using TF files I can frequently complete a case with two rotary twisted files. The first TF is .06 taper and the second is .08 taper. A company can have the best files on the market, but if there is no way to properly use them in the canal system, they do nobody any good. Most instrument companies also have motors in their inventory. I cannot remember ever test driving a motor that didn’t perform, however there have been a couple I have really liked. The first motor is the Coltene CanalPro CL. From an ease of use and countertop real estate perspective, the CanalPro CL is a dream come true. It is a cordless device that is about the size of a Sonicare toothbrush. Ergonomically it is very easy to hold and is nicely balanced. Since it is cordless, it takes up very little counter space because it does not have a controller unit that it is attached to via a cord. It is fully programmable for up to five different files so you can use it with any rotary file on the market. Just put in the file parameters and you are ready to instrument. The battery will last for 80 minutes of usage and will recharge in just 90 minutes. I have been using this handpiece for about 18 months and it has been a great piece of equipment. The second motor is the Ultradent Endo-Eze Genius. This motor is corded and has a control unit. It is also fully programmable and works in rotary or reciprocating mode. The reciprocating mode is even programmable to degrees of reciprocation which is a great feature. It has a much smaller footprint than most countertop based motors and comes preprogrammed with the settings needed for the Genius file system. It is included as part of the complete Genius Endo system and is one of the best endo motors I have had the privilege to use. These are a few of the products that I reach for when performing endo in my practice. They are most assuredly products/devices that have been vetted “in the trenches” over the last couple of years. Our profession requires that we are planners. If you aren’t good at planning when you enter the profession, it certainly doesn’t take long for the profession to make a planner out of you. Along those lines, we all approach any clinical situation with a plan in mind. Usually we go so far in our planning to even plan what to do if our current treatment scenario doesn’t give us the long term results we were expecting. If you are a clinician who performs endo, you know what it’s like when cases throw you a curveball. On those occasions when something goes sideways, it’s nice to have a few extra options at your fingertips. Even if it is something as simple as just having a few different boxes of files in the armamentarium, those little nuances can go a long way to helping work around an unexpected clinical complication. Many of these complications are ones that couldn’t be predicted preoperatively and not the fault of the treating clinician. Frequently these situations are simply something that could not be avoided. Being prepared and using technology to the best of your, and its, ability can frequently create a favorable outcome simply by being prepared to step outside the box. After reading, if you are interested in providing some really cool teething toys for your patients check out this page at Ultradent for the Baby Banana and Shark Brushes. I love them! Newswise — Your baby is growing up so fast. It seems like just yesterday you were welcoming them home, listening to their first coos and, unfortunately, getting used to some sleepless nights. Now, you’ve entered a new phase: teething. While those new pearly whites sure are adorable, teething is a new experience for baby and one that could come with some challenges. William Wathen, DMD, associate professor at the Texas A&M University College of Dentistry, offers some tips and tricks to get your family through the pains of teething. Most babies get their first tooth around six months of age, although some can start as early as three months and some as late as eight or nine months. Your child will first sprout their bottom biters, which can cause mild discomfort and curiosity. Typically, their front teeth will appear first, followed by the first molars and then the canines or eyeteeth. What signs of teething should I look for? Many parents will attribute fever, diarrhea and constipation to teething, however many experts believe these symptoms are not related to teething itself. Instead, teething presents with swollen and tender gums, drooling, irritability, difficulty sleeping and loss of appetite. Children may put their hands or other objects in their mouths during this time to ease the pain, so it’s not uncommon for them to simultaneously contract a virus or bacteria. Parents should be sure to keep the baby’s common areas clean to help prevent the spread of germs. If your child has a fever higher than 101 degrees, that warrants a trip to your health care provider. It’s tough to see your baby struggling with discomfort, but luckily there are a few things you can do to help ease this tough time for your teething child. If your baby is fussy, it’s best to give them a plain, solid teething ring. This allows your child to apply pressure to ease the pain on their own. Some parents may opt to chill their teething ring which may help, however, don’t give them a completely frozen ring as contact with extreme temperatures can be harmful instead of soothing. Another common soothing method is to massage their gums with a clean finger or a cooled washcloth. While this may ease the pain, it will take a lot of give-and-take with your baby. Also, if you’ve began introducing solid food to your baby, cold applesauce or yogurt could offer them some edible relief. Teething tablets have also been an item of controversy when it comes to relief. The Food & Drug Administration recently publicly warned against the use of homeopathic teething tablets or gels because they pose a major health risk in children. When your baby starts getting their teeth, it can be very exciting time for them. It’s best to keep the child relaxed and be prepared to clean up a lot of drool. By the time your child gets their full set of 20 teeth, at about age 3, it’s very important to have already started caring for their teeth. Wathen recommends using a soft pediatric tooth brush with water on a child’s new teeth in between the child’s teeth and gum-line and between the teeth to remove dental plaque, which is made up of cavity-causing germs. "What we found was surprising," says Steven Nissen, a cardiologist at the Cleveland Clinic who reported the results Sunday at an American Heart Association meeting in New Orleans. 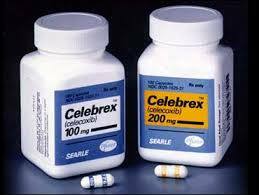 Doctors have been concerned about Celebrex for more than a decade because it is very similar to another pain reliever, Vioxx, which was pulled from the market in 2004 after being linked to heart attacks and strokes. Celebrex "didn't share the risks that were seen with Vioxx," says Nissen, whose findings were also published online by the New England Journal of Medicine. For the full story from the NPR website, here is the link. As many of you know, I've been flying drones for the last several years. They are a fun hobby and something that tinker with to blow off steam as well as satisfy my tinker & DIY urges. However, not everyone wants to spend the amount of time learning to fly that I did. For those of you, there is the JetJat Ultra from Moto. This cool handheld drone can perform automatic takeoffs and landings as well as featuring a POV camera that you can view through your phone. For more info, check out the company website. This info is from 2014, but I just recently came across it. With the continued and increasing popularity of E-Cigarettes, I would think this situation would continue if not increase. ALEXANDRIA, VA – New data just released from poison control centers across the country show that e-cigarettes and their liquid nicotine refills are poisoning children at an alarming rate. As of Oct. 31, the American Association of Poison Control Centers (AAPCC) has reported 3,353 year-to-date exposures related to e-cigarettes and liquid nicotine. An exposure means that someone has come into contact with the substance in some way, for example, by ingesting, inhaling or absorbing liquid nicotine through the skin or eyes. Because liquid nicotine comes in a variety of bright colors and in flavors appealing to children such as cotton candy and gummy bear, it is no surprise that these products have found their way into the hands of children. In 2013, 1,543 exposures to these products were recorded. This year, with nearly two months left in 2014, the number has more than doubled, with a majority of the cases occurring in children younger than six years old. The American Academy of Pediatrics (AAP) and AAPCC are urging federal legislators to take immediate action this year by supporting and passing the Child Nicotine Poisoning Prevention Act of 2014. The bipartisan, bicameral legislation would allow and direct the U.S. Consumer Product Safety Commission to require child-proof packaging for liquid nicotine sold to consumers. One teaspoon of liquid nicotine could be lethal to a child, and smaller amounts can cause severe illness, often requiring trips to the emergency room. Despite the dangers these products pose to children, there are currently no standards set in place that require child-proof packaging. By addressing this void, the legislation would work to protect children from ingesting or encountering liquid nicotine. For more information on AAPCC’s new findings, please visit: http://www.aapcc.org/alerts/e-cigarettes/. Natick, MA (October 20, 2016) – Convergent Dental Inc., developer of Solea®, the industry-leading, computer-aided, CO2 all-tissue dental laser system, is pleased to announce a strategic partnership with Patterson Dental, a leading distributor of dental products, equipment, and technology in the US and Canada. Effective immediately, Patterson Dental will distribute Solea, the first and only CO2 dental laser cleared to cut hard, soft and osseous tissue across the US. Solea has earned its reputation for delivering reliably anesthesia-free, blood-free, suture-free, and pain-free experiences because of the science behind it, the technology that enables it, and its simplicity in the hands of the dentists. With a single setting, dentists move back and forth between hard, soft, and osseous tissue by just changing pressure on the dental laser industry’s only variable speed foot pedal. All dental professionals attending this year’s American Dental Association (ADA) Meeting are encouraged to visit Convergent Dental at booth #1814 and Patterson Dental at booth #3036 for a free demonstration of how Solea can improve their own clinical procedures and practice profitability. For more information about Solea, please visit www.convergentdental.com or call 844.GOSOLEA. 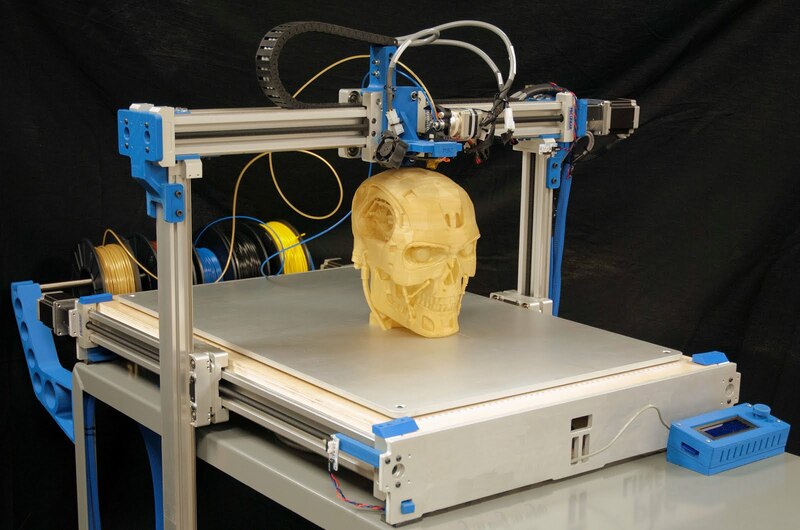 The future of dental prosthetics is in 3D printing. Right now we're just waiting for all of the bugs to shake out. For years we've done subtractive restorations (milling restorations out of blocks of porcelain) but in the not too distant future, the ability to build restorations via 3D printing will be commonplace. I came across the information below on the Research and Markets website and it has even more information available if you're inclined to take a look. Give the info below a read. I think you will be impressed. I sure was. This second annual study of 3D printing in the dental sector -- analyzes the commercial implications of a number of major trends that have emerged over the last twelve months. - New 3D printing software analysis for the dental sector. Discussion dental printer software, application specific dental workflow software, 3D scanning tools, and laboratory production management software. - The impending adaptation of high-speed, layerless vat photopolymerzation printers to dental industry requirements. HOUSTON, TEXAS, November 4, 2016—NuSmile Ltd. today announced its acquisition of substantially all of the assets of Avalon Biomed Inc., a leading designer and manufacturer of advanced mineral trioxide aggregate (MTA) products. Avalon Biomed Inc. was founded in 2011 by Carolyn Primus, PhD, who holds both Masters and Doctorate degrees in Materials Science & Engineering. Dr. Primus has 10 patents in dentistry, including three for MTA-based products, to her credit, and has co-authored over 20 papers on bioactive dental cements. Avalon Biomed’s two key commercial products are NeoMTA Plus® and Grey MTA Plus®. NeoMTA Plus and Grey MTA Plus are award-winning, bioceramic, tricalcium silicate-based bioactive cements that trigger hydroxyapatite formation and dentinal bridging to promote the healing process. These products have broad indications for pulpal and periapical tissue contact including root-end filling to resorption, sealer to perforation repair, pulp-capping to base/liner, and pulpotomies to apexification. Each product is non-cytotoxic, mixes smoothly, handles easily, and enables washout resistance and faster clinical setting. NeoMTA Plus is a light-colored, stainproof MTA that can be used universally for vital pulp and other endodontic indications. Grey MTA Plus has a light silvery color and is slightly more radiopaque for endodontic use. NuSmile will continue to maintain the Avalon Biomed website at www.avalonbiomed.com. NuSmile’s recently enhanced website may be viewed at www.nusmile.com.